You can also look at them as a way to get a little bit of a tax break. And, yes, while corporate gifts are taxable, your generosity does much more than save you a few dollars on your budget or taxes. Corporate gifts pack a powerful ROI, generating goodwill, increase brand and business value, and more. They can be directly attributable to customer retention, a positively-charged internal company culture, and brand recognition. In this post, we’ll take a deep dive into why you should give corporate gifts liberally – and how it helps you get ahead. What are Corporate Gifts Good For? Corporate gifts are both a verb and a noun. They’re both a gesture to clients or employees as well as a tangible object that is supposed to be seen by the receiving party as a show of gratitude, appreciation, and value. And besides contributing to the bank of “Know, Like, Trust,” corporate gifts can be seen as a tax deduction. There are, however, particular tax policies that apply to corporate gifts and these are intricate. To harness these as a benefit, you’ll need to know tax laws within your jurisdiction. For example, there’s a ceiling on how much you can “write off” – In the United States, there’s a $25 deduction limit per person. But when it comes to corporate gifts, tax breaks are not the only inadvertent benefits you’ll be earning. We want to cover four of those reasons and make the case for more corporate gifting. Sales are the lifeblood of businesses. But how does that sale come about? The truth is that it’s a steady build-up calling on a plethora of activities – and we call it a sales cycle. And part of that cycle is corporate gift-giving. Giving timely and appropriate gifts builds a positive relationship with your client because, again, it’s both a gesture and a high-value item that confirms goodwill and appreciation. It tells your client or customer that the vote of confidence they’ve cast in your favor – via their purchase – has not gone unnoticed. Essentially, it humanizes the business-client relationship. So make sure you don’t get into the habit of only gifting during the holidays! You build trust over time, and gifts can help. Your corporate gift-giving can be an emotionally intelligent gesture, not just a strategic move – and certainly not just a tax break. Okay, so those are your client-facing initiatives. What about your internal operations? The backend of a business is just as important as the way said business projects itself, and your employees are that backend. Gift-giving has the same effects on employees and team members as it does on clients. However, with employees and workers, you’re not starting from scratch. 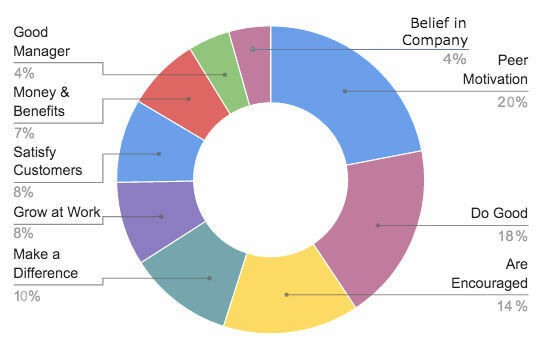 It’s not a sales cycle – it’s a ready-made community. Company culture can make or break the team’s longevity, their performance, and, ultimately, your client’s or customer’s satisfaction with the end product/service. And there are “side” benefits to investing in culture. 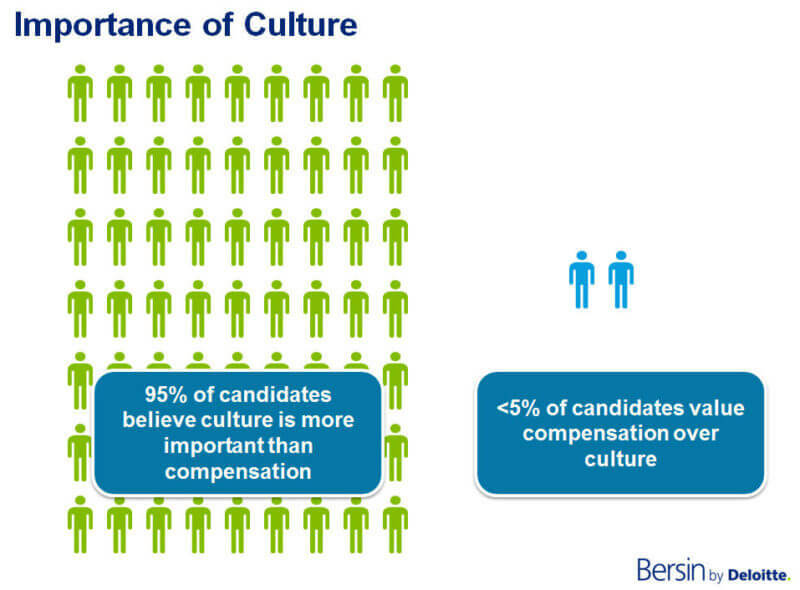 In a survey of the importance of company culture, less than 5% of candidates would pick compensation over culture. This means a whopping 95% value culture more than compensation! 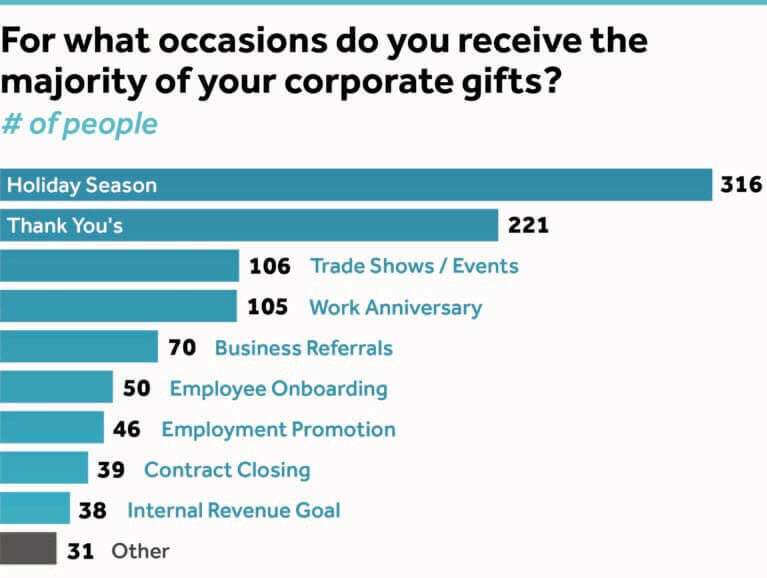 The numbers paint a pretty compelling picture: If gift-giving humanizes a company to its clients/customers, gift-giving to employees nurtures and invests in them, signaling to employees that they’re significant. Employees are less likely to leave and they remain engaged. Just ask Gallup what an engaged employee means to a company’s bottom line – they outperform their competition by 147%! Gift-giving shows investment in a tightly-knit, highly appreciative company culture. A community bound by gratitude. But what about motivation? There’s no secret sauce to motivating your employees and, certainly, there is a cap on how much motivation is possible through a day anyway. Remember that company culture is a community. And while there is some personal gratification tied to receiving a gift, a far better motivator is social recognition or admiration tied to our peers. 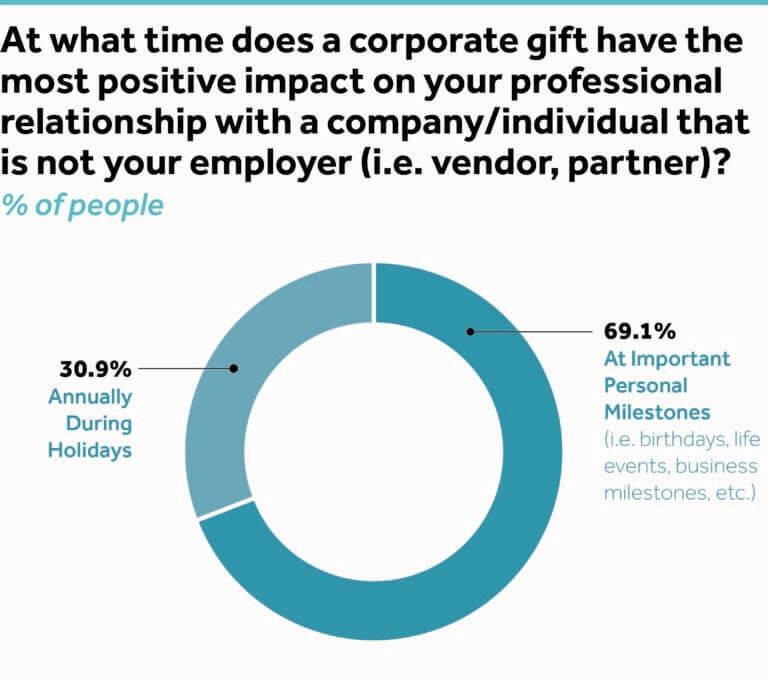 According to a nationwide survey by the Advertising Specialty Institute, 70% of respondents said that receiving a holiday gift from an employer made them want to work harder. Yet only 42% of companies are taking advantage of this. Gift-giving is one of ten scientifically proven methods to motivate your employees. So get wrapping. 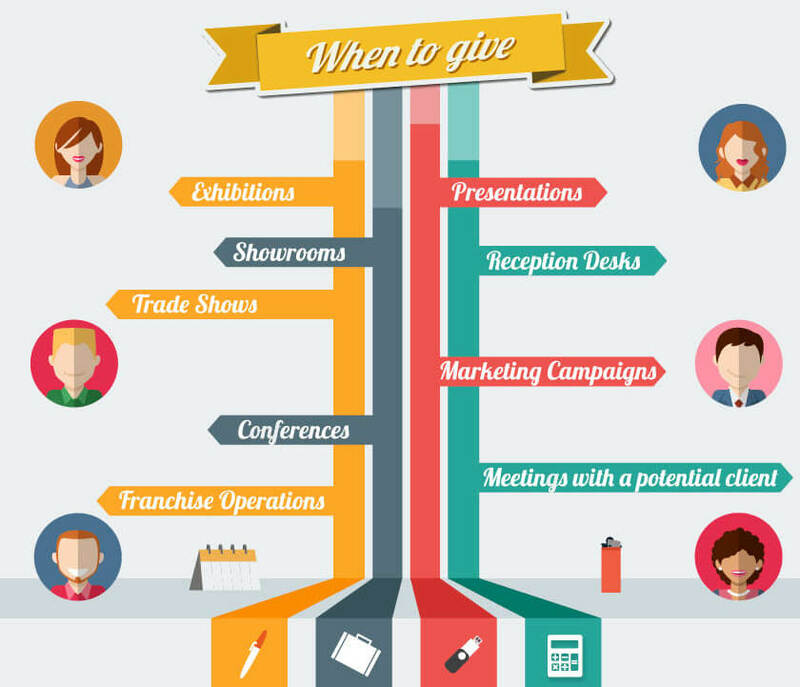 Can a corporate gift reinforce your brand? Yes. Is it often used as promotional or marketing material? Yes. According to a recent gift-giving survey, “swag” is usually used… but not in the way you may have intended. More than 55% either don’t use them, re-gift them, or never touch them. That means your intention to get more eyeballs on your brand is backfiring. Or, at best, not quite hitting the mark. 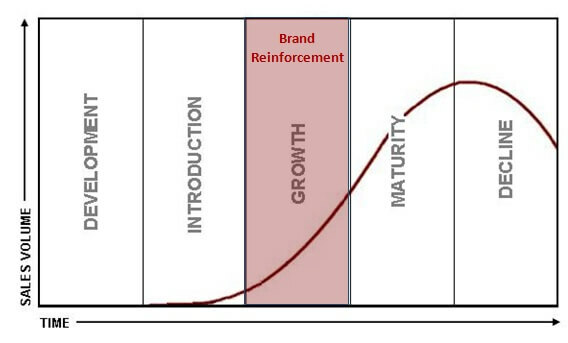 “Reinforcement” is all about psychologically reiterating something already there. It occurs through a practice of seeing the same thing over and over again, then connecting these repeated instances to an image or item, thereby linking the two concepts. So well-timed gifts that aim to accomplish this goal should occur during the “growth” phase of the connection between yourself and your client, customer, or employee. And they should be well-thought out rather than standard “swag” or half-hearted gifts. Within businesses of any size, strategic maneuvers are the order of the day. Every action and interaction counts, and businesses rarely, if ever, go through with an action without a proper justification behind them.